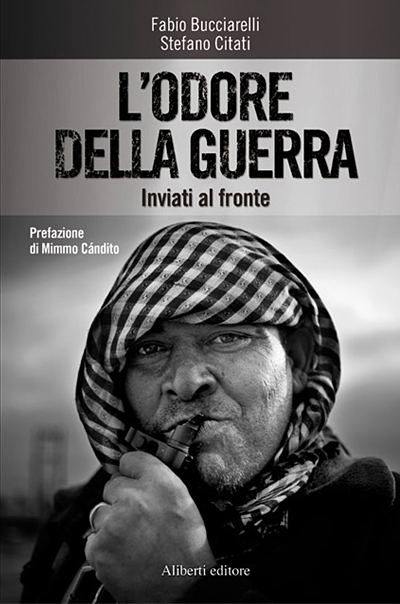 Fabio Bucciarelli is an award-winning photographer and journalist known for his documentation of conflicts and humanitarian consequences of war. Fabio spent the last years covering the major world changing events in Africa, Middle East and Europe. He reported from Libya - from the beginning of the civil war until the death of Gaddafi - from Syria - during the bloodiest battle of Aleppo - from Rojava and Iraq and from the African forgotten countries including South Sudan and Mali. Fabio feels the urgency to tell the stories of people who are rendered powerless and provide unbiased information focused on human rights. In 2013 his coverage of the Syrian war was recognized with the Robert Capa Gold Medal awarded by the Overseas Press Club of America. Fabio has also been prized by World Press Photo, Prix Bayeux-Calvados, Pictures of The Year International, Best of Photojournalism, Days Japan International, Sony International Photography Award, Master Report Award and Ponchielli Prize between other awards and citations. What do you feel when you are on the front line, surrounded by guerrillas and exposed to fire? The senses are alert, peaks of adrenaline and moments of quiet (before the storm) are followed in a swing of thrilling emotions. When you are on the front line, where fighters fight for something that has become more important than their own lives, you only know that you are risking everything because of the importance of being there and of communicating to the world what is happening. In a day at the front, in the war, bonds are formed, friendships, coincidences: but the rhythm of the days often burns everything that has been built. Because there, at the front, you are exposed to the fate of the moment, in the grasp of events that none of those around you can control. At the mercy of history.